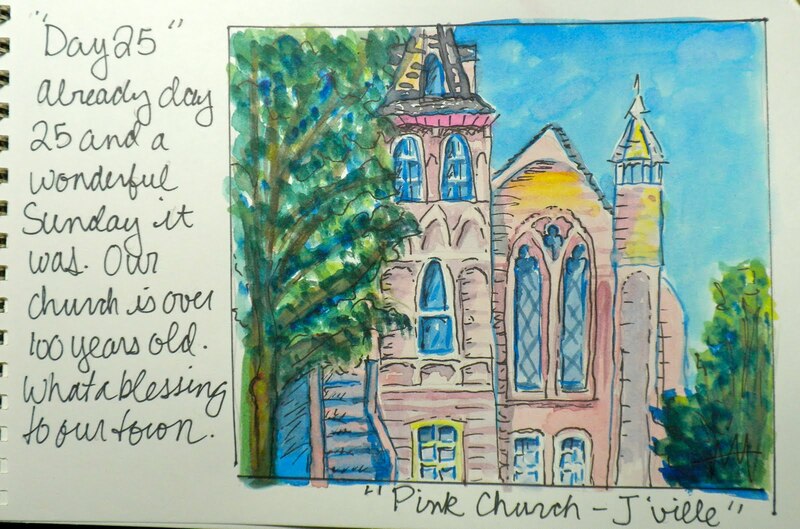 In our little historic town we have a “Pink Church.” It is a lovely building—the subject of many tourist’s photographs. The church is over 100 years old—which is old for the west coast. At the end of the Oregon Trail, is a gold mining town called Jacksonville, established in 1800s. 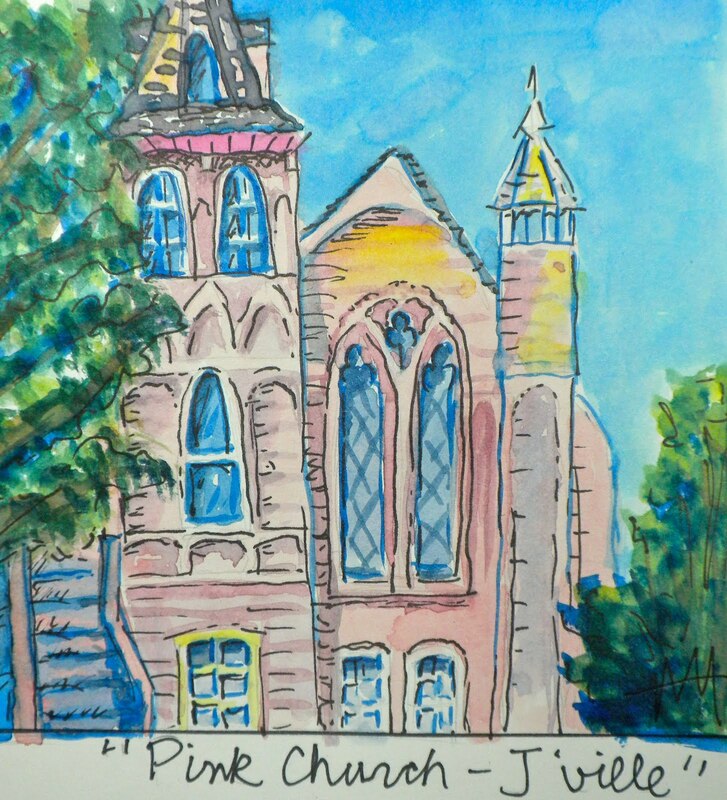 From the roots of the town, the First Presbyterian Church of Jacksonville has been here, since 1881. The church has outgrown the old historic building, but still remains in town at a new location. Many of the original building’s wonderful architectural characteristics were used in the design of the new structure. So what color is your church? Who do you worship? What do you believe? What and who is on the inside? The exterior color of your church is not important. What is important is that you know our Creator. This entry was posted in International Fake Journal, Uncategorized, watercolor. Bookmark the permalink.